Glia is exclusively hosted on AWS. Glia inherits the control environment AWS maintains and demonstrates via SSAE-16 SOC 1, 2 & 3, ISO 27001, FedRAMP/FISMA reports and additional certifications. In addition, Glia has deployed a 24/7 intrusion detection system that sits on-top of AWS with daily manual log reviews. All data is encrypted both in motion and at rest. 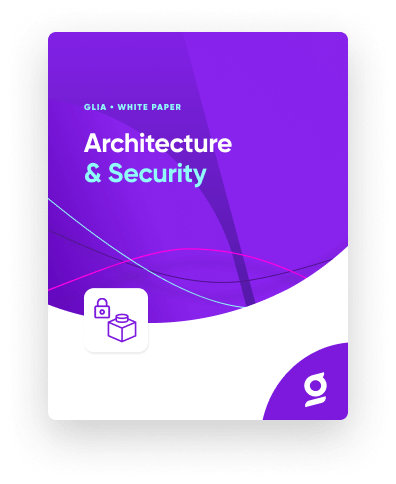 Glia follows a Test-Driven Development (TDD) software development process including both multi-party manual and automated security checks based on OWASP application security principles. Application security controls include: defense in depth, positive security model, fail securely, run with least privilege, intrusion detection, amongst others. In addition, Glia undergoes third party penetration testing on a scheduled basis. Glia has dedicated GIAC GSEC certified security personnel who have responsibility for security across the Glia organization. All Glia employees undergo background checks along with initial and ongoing security training and testing. All access is two-factor authentication controlled, logged and run with least privilege controls.